Some good news for those of you considering purchasing windows that claim to offer soundproofing. The Soundproof Windows Company is now backing up their claims with test data. These tests are performed in a lab, so you probably will not see the same results in your home, but still the numbers are pretty impressive. The soundproofing is achieved by installing a second window behind your original windows. One has to ask if you can achieve the same results by installing just another ordinary window. New noise testing results exceed all expectations for Soundproof Windows Company. Reno, NV (PRWEB) April 29, 2008 -- Recent extensive laboratory noise tests, performed on Soundproof Windows premier window products by the Western Electro-Acoustic Laboratory (WEAL) in Santa Clarita, California, have shown significant reduction of noise levels. This range is well over the norm for all window products. Approximately 60 standard tests involving different window configurations were executed over a period of three days. 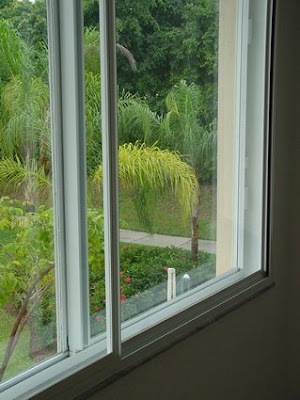 A leading window manufacturer's windows were used as the primary window; testing was also performed on Soundproof Windows' sliding glass doors. The industry established method of measuring how much sound is stopped by various building products is called STC (Sound Transmission Class). STC ratings are used for windows, doors, walls and most building materials. For windows, typical STC ratings range from 18 to 33, and most window companies are very happy if they can achieve 39 to 40. Soundproof Windows tested at a remarkable range of 43 to 57, which comes as no surprise considering recent enhancements to their product. "With this new STC data, we can definitively state that our soundproof windows will solve your noise problem," says Randy Brown, president of Soundproof Windows. "Your walls may still be a problem, but the window noise will be stopped, which is the main source of most noise." "I am very happy with my windows. I was getting a lot of traffic noise, it was impossible to sleep without earplugs. The first night after the installation I had a nice sleep without earplugs. It almost completely cancelled all traffic noise. It is a strange feeling to see cars pass by my windows and not to hear anything." At the Icon Hotel in Houston, Texas, Soundproof Windows were installed in every guest room. "We've gotten some very positive feedback and look forward to working with other hotels to enhance the guests' stays. It's a lot easier attracting guests to a quiet environment," said Don Handlin, Chief of Operations. In an effort to "go green", many hotels are also looking at these secondary windows simply to help reduce energy costs. "Up to 50% energy savings after adding Soundproof Windows is being reported in many cases," Handlin added. Soundproof Windows will be at the American Institute of Architects convention next month, May 15th through the 17th, at the Boston Convention and Exhibition Center. Find out more about Soundproof Windows and soundproofing in general at http://www.soundproofwindows.com. The site also includes sample installations and customer comments. Or contact them directly, toll-free at 877-GET-QUIET (438-7843), 4763 Aircenter Circle, Reno, Nevada. Since 1998, Soundproof Windows has been a nationwide manufacturer of quality soundproofing windows and sliding glass doors for noise abatement, providing an alternative or enhancement to standard window replacement in residential as well as commercial applications. Their soundproofing windows and sliding glass doors reduce noise levels by 75% or more and are fully functional with excellent insulation qualities.